Harvard swept its home weekend in dominant fashion, clinching a share of its fourth straight crown. Princeton got an impressive sweep of its own as the Tigers surge towards the top half. After the Yale loss and the Columbia 2OT game, Harvard seemed like a squad bound to falter at least once more this season. The Crimson wasn’t playing like the infallible Ivy dream team that they had been hyped up to be. Ancient Eight fans from outside Cambridge felt the hopeful possibility that someone would be able to dethrone the defending champs. After dispatching of an overmatched Cornell team on Friday, Harvard put on a show on Senior Night at Lavietes. A hot Columbia team had won three straight and crossed the Charles on Saturday with confidence, knowing that they should’ve knocked off the Crimson in Manhattan a few weeks ago in a barnburner. But Harvard came out fast, racing to a 20-4 lead behind eight quick points from Laurent Rivard. Soon, the rout was on as a celebration ensued for the next 32 minutes of play. Kyle Casey threw down a thunderous slam, Steve Moundou-Missi went 7-9 FG for 16 points, and Wes Saunders did it all, going for 10 points, 7 assists, and 7 rebounds. After letting the Lions shoot 48% in the first game, Harvard locked down on defense and held Columbia to just 15 field goals on the night on 34% shooting. Alex Rosenberg, the league’s hottest player of late, was held to just 1-7 FG. The game never got closer than 10 points after the break, and just before the starters were pulled for the final time at Lavietes, Rivard did what he does best, hitting a three while absorbing contact and fittingly draining the free throw for one last four-point play. With the win, Harvard clinches a share of the trophy with one weekend to go, but in all likelihood, we will see a third straight solo title for the Crimson. 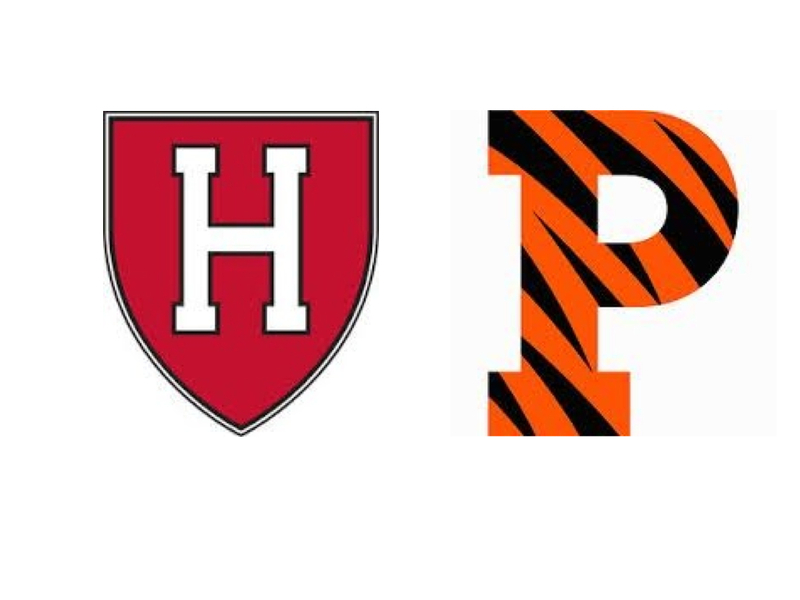 For Harvard to lose the bid: Yale must beat Harvard on Friday, then have Brown beat Harvard in Providence on Saturday while Yale handles Dartmouth. Then and only then, a third Yale-over-Harvard win in a playoff would result in a bid theft for the Bulldogs. Otherwise, the Ivy representative will wear Crimson. Princeton became the second team to sweep Brown and Yale this season by clamping down on the Bulldogs on Friday night and surviving a tight one versus the Bears on Saturday. The Tigers couldn’t stop Justin Sears, but it turned out they didn’t have to. A late second-half 10-0 run iced it for Princeton as Yale’s title hopes were all but extinguished at Jadwin. Sears went for a game-high 22 points, 9 rebounds, and 3 blocks, but didn’t get much scoring help at all. In fact, Yale shot just 7-39 (18%) if you take Sears’ 8-12 FG out of the equation. On the offensive side, TJ Bray led the way for Princeton with 19 points, while Spencer Weisz and Hans Brase pitched in with 14 and 12, respectively. It certainly wasn’t a pretty game, but Yale likes to make things slow and ugly, and the Tigers didn’t shy away from playing a hard-nosed, physical half court game and getting to the stripe. In the game’s final ten minutes, Princeton scored only one 2-point FG, while making 13 FTs and two 3-pointers. The next night, Princeton survived a second half run from Brown to complete its first weekend sweep of the season. The Bears actually took a one point lead at 61-60, but Princeton’s defense was too tough down the stretch as Brown went without a field goal in the game’s final 5:00. A TJ Bray three from the corner regained the lead for Princeton and they wouldn’t relinquish it again, closing out Brown 69-64. Bray finished with 21 points, 7 rebounds, and 6 assists for the now 5-6 Tigers. Alex Rosenberg’s Friday: Columbia’s star almost had a perfect game at Dartmouth. Rosenberg’s only miss in 33 minutes of action came with just 24 seconds left in the contest. His final line was a mind-numbing 6-7 FG (2-3 3PT) and 17-17 FT. The perfection from the line was a new program record for most makes without a miss at the stripe. Rosenberg’s 31 points mark the second time he’s gone over 30 this season (34 vs. Harvard in 2OT). After Saturday night’s 10 point effort, Rosenberg has now scored in double figures in 24 straight games. Alex Mitola’s Saturday: The Dartmouth sophomore had a career night against Cornell, scoring 33 points on 10-16 FG, including a sizzling 8-9 from downtown. Mitola’s 33 points led the Big Green to its third conference victory, ensuring that Dartmouth will stay out of the basement at season’s end.